Every now and then something reminds me about food nanotechnology, the use of molecular size nanoparticles to whiten or improve the safety or shelf life of processed foods (see previous posts on the topic). Last year, Friends of the Earth did the same in America. 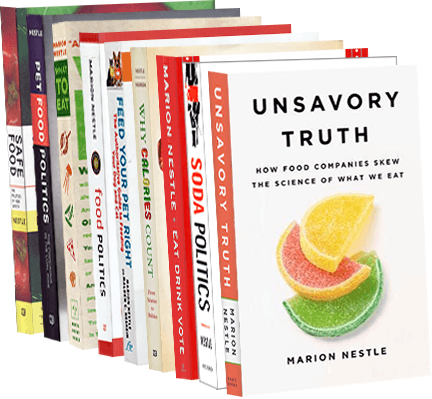 Its report, “Tiny Ingredients Big Risks,” documents nanomaterials in more than 90 food products, among them Jet Puffed Marshmallows, Trix Cereal and Nestle Original Coffee Creamer. Nanoparticles are really small (10-9 meters, or one millionth of a millimeter). How they work and what they might do to the human body is greatly in need of research. The FDA’s guidance to industry—nonbinding and, in my opinion, not particularly helpful—says nanoparticles are safe in foods but that companies using them should let the FDA know about it. It is prudent practice for you to do so, particularly when the manufacturing process change involves emerging technologies, such as nanotechnology…The consequences (to consumers and to the food industry) of broadly distributing a food substance that is later recognized to present a safety concern have the potential to be significant…FDA does not categorically judge all products containing nanomaterials or otherwise involving application of nanotechnology as intrinsically benign or harmful. Rather, for nanotechnology-derived and conventionally-manufactured food products alike, FDA considers the characteristics of the finished product and the safety of its intended use. Good advice, and another reason to avoid heavily processed foods. Yet another food worry? Nanoparticles. As You Sow, an advocacy group for environmental corporate accountability, has been paying close attention to nanotechnology. It has just issued a report, Slipping Through the Cracks: An Issue Brief on Nanomaterials in Foods. We’re not taking a no nano position…We’re saying just show it’s safe before you put these things into food or food packaging. Nanotechnology, as I have discussed previously, is the use of tiny particles for many purposes, among them food. These particles are really, really small, on the scale of nanometers (nm), one billionth, or 10−9, of a meter. The FDA’s nanotechnology web page provides a 2007 report from a task force, a 2012 fact sheet, and a draft-for-comment on how industry should deal with nanoparticles in foods and food packaging. FDA has long encountered the combination of promise, risk, and uncertainty that accompanies emerging technologies…The very changes in biological, chemical and other properties that can make nanotechnology applications so exciting also may merit examination to determine any effects on product safety, effectiveness, or other attributes. Understanding nanotechnol­ogy remains a top FDA priority. FDA is monitoring the evolving science and has a robust research agenda to help assess the safety and effectiveness of products using nanotechnology. My translation: the FDA has no idea whether this technology is safe or not and is depending on industry to find out. Because the FDA does not require labeling of nanomaterials (the European Union does), you have to decide for yourself whether this is something you want to add to your list of food worries. Just a thought: real foods don’t have added nanoparticles. Nanotechnology is about manipulating materials on the scale of atoms or molecules, measured in nanometers (nm), one billionth, or 10−9, of a meter. Many companies are already using nanomaterials in agriculture, food processing, food packaging, and supplements. This is not something the public has heard much about. Food companies often don’t know whether or not they are using these materials. Nanotechnology science is new, and the industry is unregulated. The FDA’s nanotechnology web page links to a quite thorough 2007 report from a task force, but the agency’s only guidance to date tells companies how they can find out whether they are using nanomaterials. Jumping into that gap, As You Sow has issued a Sourcing Framework for Food and Food Packaging Products Containing Nanomaterials. Not only is this technology unregulated and untested for its implications on public health but companies may not even be aware if they are using products made with nanomaterials….In consultation with food companies such as: Kraft, McDonald’s (which has adopted a “no nano” policy), Whole Foods, Yum! Brands, and Pepsi, the nonprofit organization As You Sow developed this practical tool which clearly outlines what companies should ask their suppliers regarding the safety of products containing nanomaterials. Does it belong there? Who knows? But the sooner its risks and benefits are assessed, the better. Otherwise it risks becoming the next GMO in public perception. Indeed, they do. As I have discussed previously, nanotechnology is the use of extremely small particles to do any number of things to food, food processing, and food packaging. I’m still having a hard time knowing what to think about it. So are others, apparently. I’m hoping for for more research, and soon. A recent review of the use of nanotechnology concluded that it has many possible benefits in improving the nutritional quality of foods. Nanotech particles from corn act as antioxidant emulsifiers. Nanotech particles enhance the bioavailability of beneficial plant chemicals. But what about their safety? Could nanoparticles cross cell-membranes and end up being harmful? The technology to produce the particles does not cost much. This means anyone can make and use them, including food manufacturers who don’t want to bother with safety testing. So: is nanotechnology the new asbestos? If you know something about this, please weigh in. Thanks and happy new year! Update, January 8: A the U.K. House of Lords Science and Technology committee warns that the lack of transparency in research on nanotechnology is likely to induce a consumer backlash similar to that on genetically modified foods. Indeed.